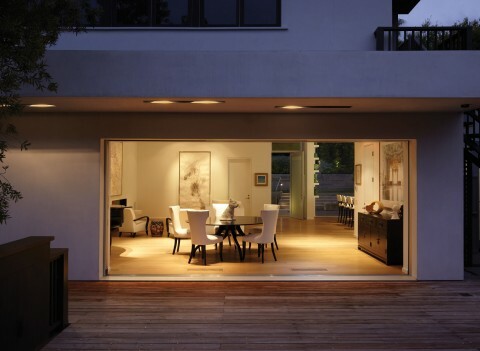 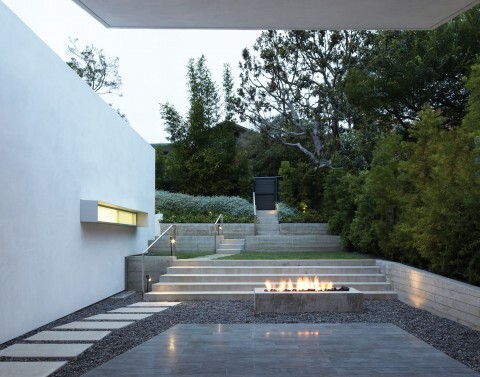 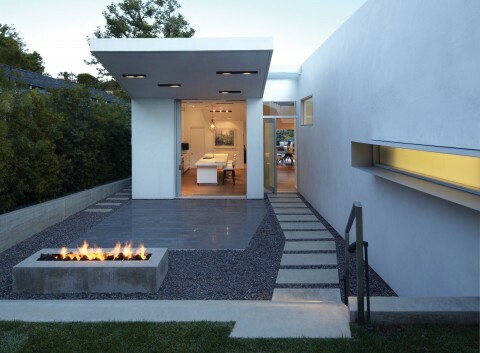 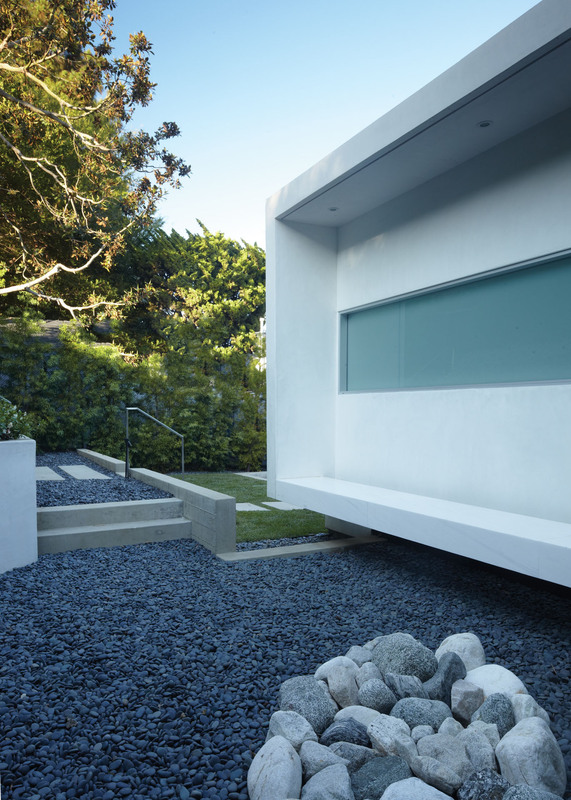 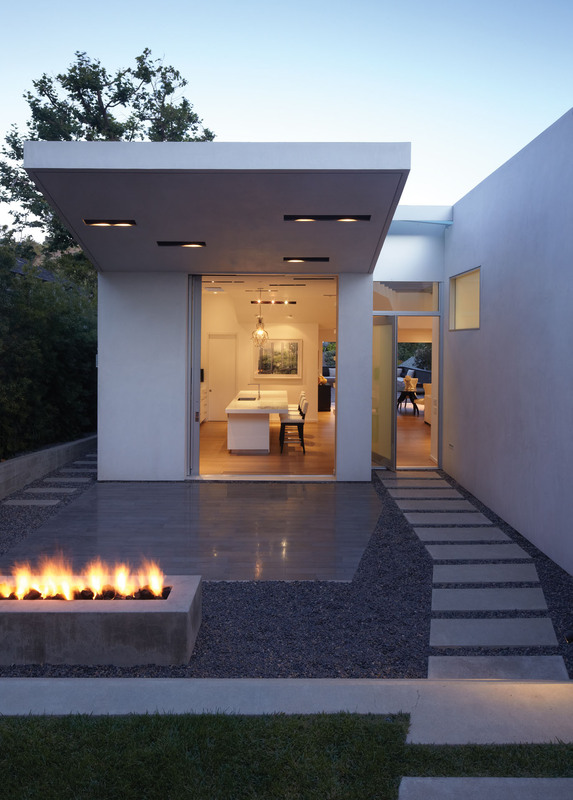 This residence is nestled into a down-sloping hillside property in little Santa Monica Canyon. 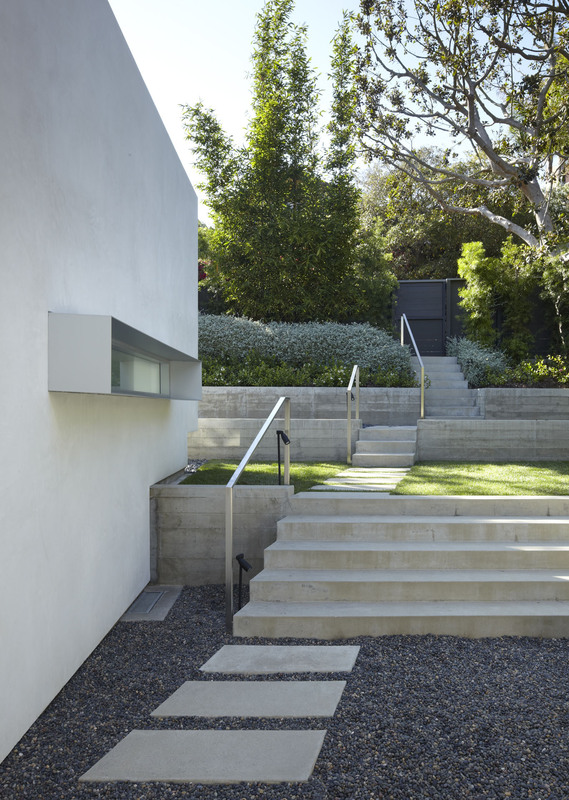 A path descends into an impromptu, landscaped amphitheater and bends to enhance the perspective views. 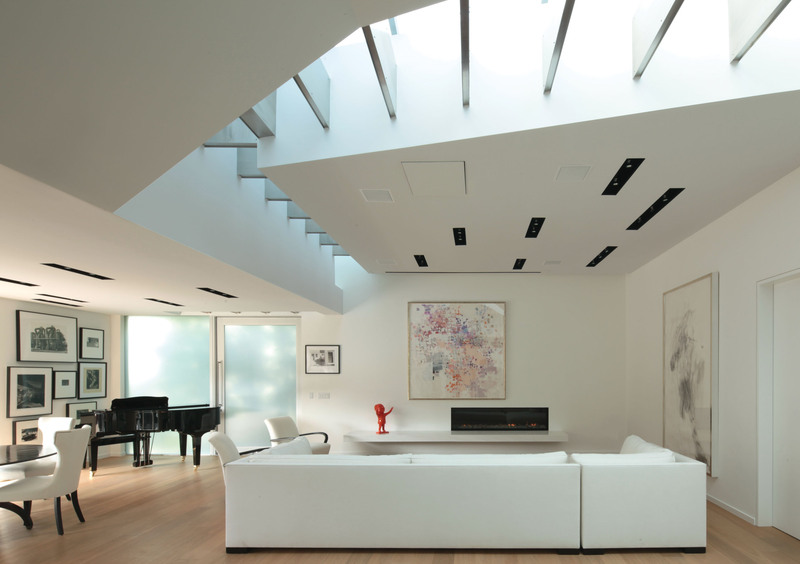 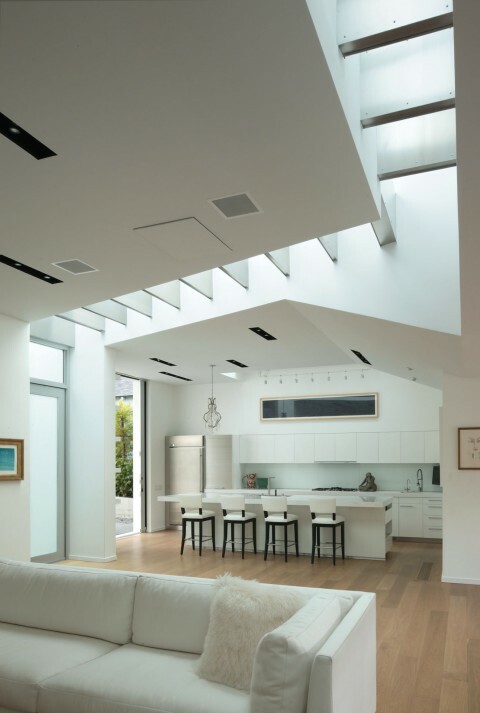 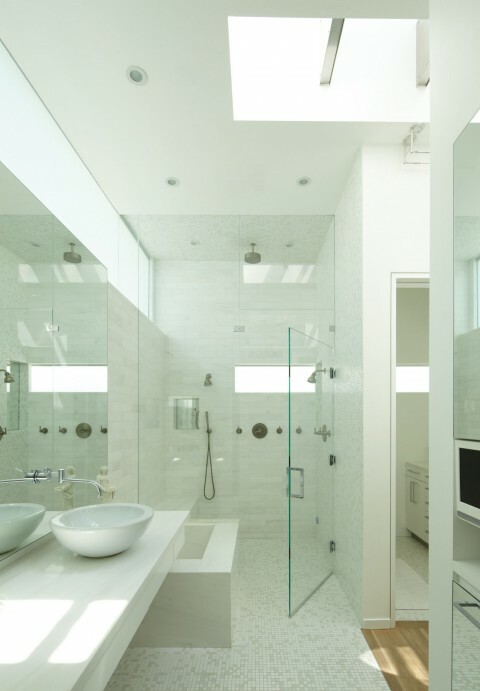 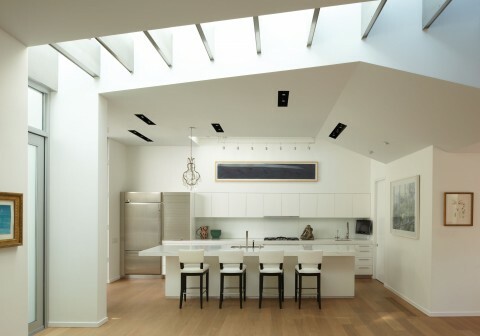 A long skylight extends the geometry of the path as it winds through the living space, illuminating the house with indirect light. 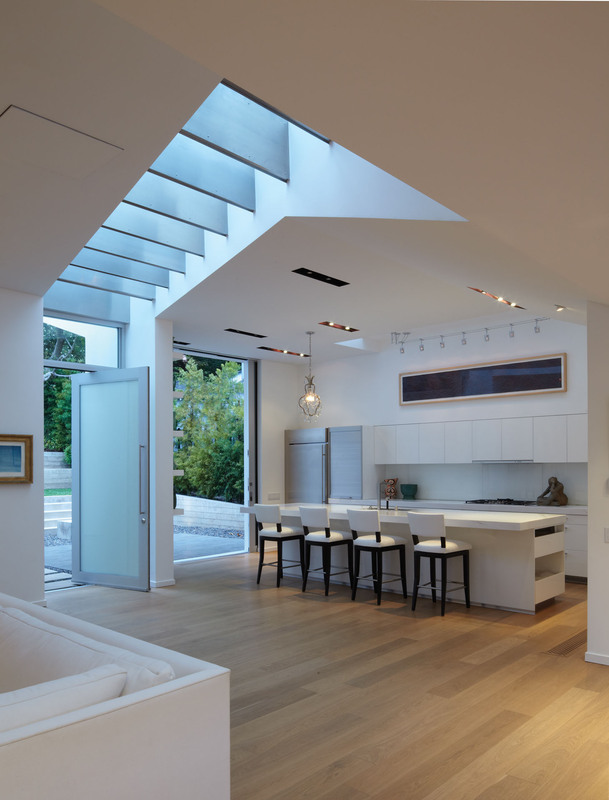 The residence contains open, loft-like spaces, while the geometry of the meandering skylight creates distinction between kitchen, living and dining areas. 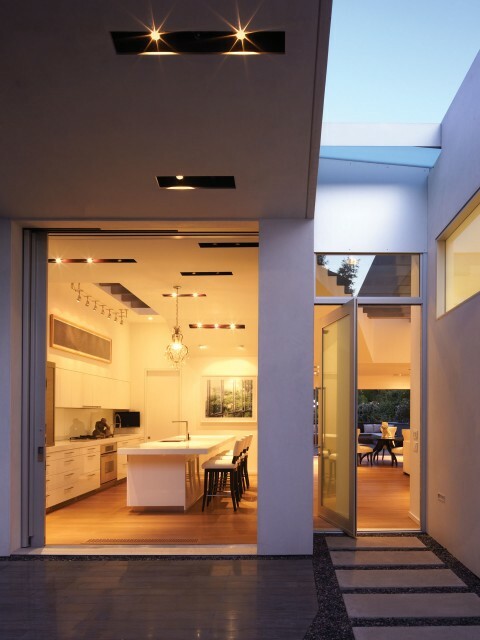 As it visually connects the front and back door of the house, the skylight carves the high ceiling as it turns through the house, linking also the two new courtyards created by the residence.